Click on the Play Button and 'Five Nights at Candy’s' will start after this message... Thanks for waiting! Enjoy a game created by a fan of 'Five Night at Freddy's'! Manage to survive every night by controlling a security guard that does the night shift. Beware of the dangerous animatronics and keep an eye on the cameras. The game is heavier than 500MB and has no loading screen, so please be patient. Discover this new version of a horror classic, Five Nights at Freddy's. You'll be alone in the dark control room of a candy store - you can barely see anything around you at night. Pay attention to the environment and don't let those pesky robots get you! Enjoy this remastered version of 'Five Night at Freddy's'! Try to survive every night controlling a security guard doing the night shift. Beware of the evil animatronics -- watch the security cameras to find where they are! This time horror followed you all the way to the candy store. 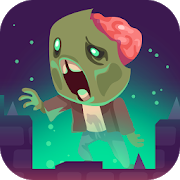 Try to survive while all kinds of scary enemies stalk you from the shadows. Stay alive till 6 am by watching the security cameras. Can you handle it?